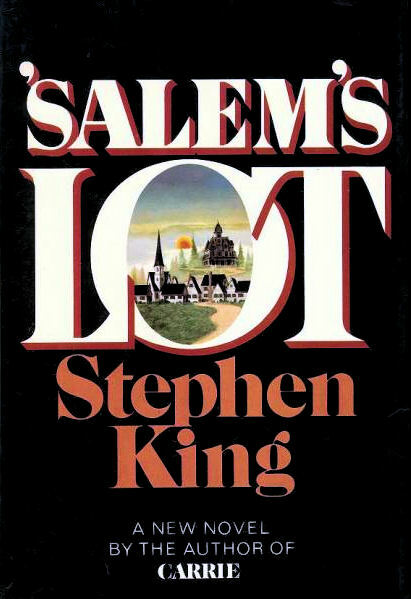 Stephen King’s second novel is ostensibly about vampires, but it’s really about small towns, the secrets they harbor, and how a place that has been plagued by evil in the past continues to attract evil in the present. It’s beautifully written, specially in the way it describes a close-knit community. And it scared the bejesus out of me, even in audiobook form – I remember exhaling audibly on several occasions, not realizing I had been holding my breath. Corey Bryant sank into a great forgetful river, and that river was time, and its waters were red. She could see that most of the shutters had broken slats. All right, then. She would creep up and peek through and see what there was to see. Probably nothing but a house in the first stages of a long renovation process, new plastering under way, new papering perhaps, tools and ladders and buckets. All about as romantic and supernatural as a TV football game. It rose suddenly, emotion overspilling logic and the bright Formica reason of the cerebrum, filling her mouth with a taste like black copper. And she knew someone was behind her even before the hand fell on her shoulder. P.S. There are two TV miniseries based on the book. Check out my reviews at Cinesthesia – Salem’s Lot.